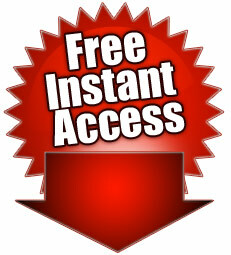 Ayojide.com Get Smart Solutions: What Does FREE On The Internet Mean ? What Does FREE On The Internet Mean ? Now, we got to do this right, This is a little of some basics about free products. First, where does free stuff come from? Lots of places, such as programmers sharing code to make their jobs easier. This is called open source code and it's a collaboration where multiple people contribute their expertise to a program and because it's not one persons creation, they make it available for free. Other places are where people give it away for free, so they have a chance to sell you something in the future. It's called an upsell or backend sale. Which is only fair, seeing how you're getting something for free, besides you may like what they have to offer. Another place is where people give free versions hoping you'll upgrade to their paid version, but if the free version works, why upgrade. Yet another is an organization that gives free products because they make money if you make money, most likely on advertising or something Or they want to broaden their market share. Finally, some things are free because people are just tired of it or don't want to deal with it, so they give it away. And there are many, many more reasons, but all you care is that its FREE! Now what does FREE mean? It means no costs, it doesn't mean no work. For example, you're not always going to get a lot of customer support with free, you're going to have to do it yourself, otherwise pay. Its like that ad in the paper that says, "free gravel", its free but you have to show up with a truck and shovel it all from their old driveway to get it for free. Or your neighbors kid isn't going to mow your lawn for free, if you want some kind of service usually you have to pay for it. Also, free doesn't mean faster necessarily, most paid products were designed to be faster and more efficient and that's what you pay for. So yes, you can buy products or services that will make your tasks faster or easier, or just do them completely without you having to lift a finger, but that's not what you read this article for, is it? You want to know about FREE! Currently there is more FREE software online than ever before. You can save THOUSANDS of dollars! You don't need to buy software and you don't need to make illegal copies. With a little research online you can find FREE software for all your needs. Just plug "free software" into your favorite search engine and see what you find.